If you could put in the same amount of effort on your social media that you are currently, but continue to get traffic back to your website that grew exponentially month after month… would you? I know you would! 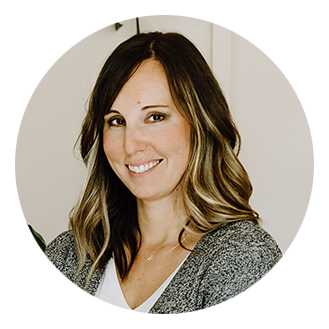 Many of you have been asking me a lot about Pinterest lately, so I decided to write a kind of “Pinterest 101 for Businesses” type of blog post today. Put in the time now, reap the rewards forever. I literally have a pin on Pinterest from an old blog I haven’t posted on in 5 years that has been pinned over 7k times… and drives thousands of visits to that old blog. Like WHAT?!?!?! Today we’ll talk about how to set-up your Pinterest for business profile, and in future weeks we’ll talk about other things more in-depth like board strategy, pinning frequency, how to use group boards, and what tools to use. Keywords are King on Pinterest. Hopefully, as you are creating consistent content in the form of blog posts, podcast episodes or video blogs, you already have an SEO (search engine optimization) and keyword strategy firmly in place for your business. You know that the key to being found in the search engines is by creating content that contains keywords that people are searching for. Well, the same is true when using Pinterest for business. As you are creating and pinning content, you need to always be thinking about what people are searching for. Once you’ve identified your main keywords, (which are probably things you are already using as hashtags on Instagram, etc.) you need to get them in as many places as possible so that Pinterest knows what you are about. In your profile, you can actually put some in your name field. 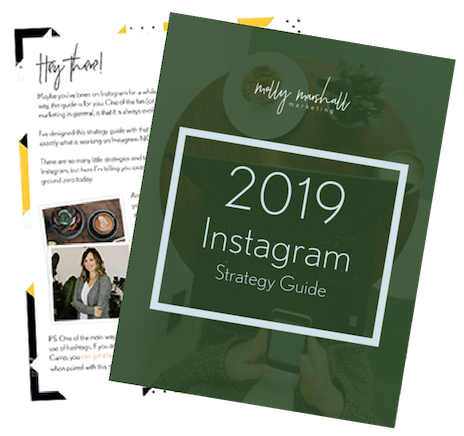 You can see mine is “Molly Marshall | Marketing, Social Media & Instagram Tips. You should also get them in to your bio description field. You don’t need to “keyword stuff” here and make it unreadable. Just be natural and include some keywords as much as you can to still sound friendly and human. Your keywords should also dictate your Pinterest board names. It’s fun to get fancy and come up with funky, rhyming names or whatever… but in this situation, it’s best to stick mainly with things people are truly searching for. Your content has a better chance of surfacing in those searches. So thinking ahead here… you want your keywords to be in your blog post titles so that when you start using Rich Pins (more on this topic down below), those keywords will be pulled in to your pins. As you write descriptions for your pins, include keywords where and when you can. Ok, so we get that keywords are uber important, but there is more to your Pinterest profile than getting your keywords everywhere. We covered this already, but create a keyword-rich name field and description. At the end of your profile description, include a bit.ly link to your main opt-in so people could join your list right away if they wanted to. I’ll admit, I haven’t had a lot of people join my list this way. Most people get to my website through my pins and opt-in to my email list once on my site… but it’s still good to have your opt-in front and center. With social media, our goals should ALWAYS be to drive website traffic and get people on to your email list, because those are two things you own and control. Finally, be sure to confirm your website. Once you add your website to your Pinterest profile, you’ll need to add a little snippet of code to the <head> tag of your website. There are step-by-step instructions for comfirming your website on Pinterest here. After you’ve got your Pinterest profile and boards set up correctly, you need to apply for Rich Pins! Simply put, Rich Pins enhance the content you pin from your website on Pinterest, by showing extra content on that pin. Rich Pins use the metadata on your site to provide even more information about the web page that your pin is about. In this example, I’m showing two pins: one with Rich Pins, and one without. Note: This screenshot was actually taken a few months back, and Pinterest has changed how much enriched content they are showing on the desktop version. Mobile version still stands out a bit more. 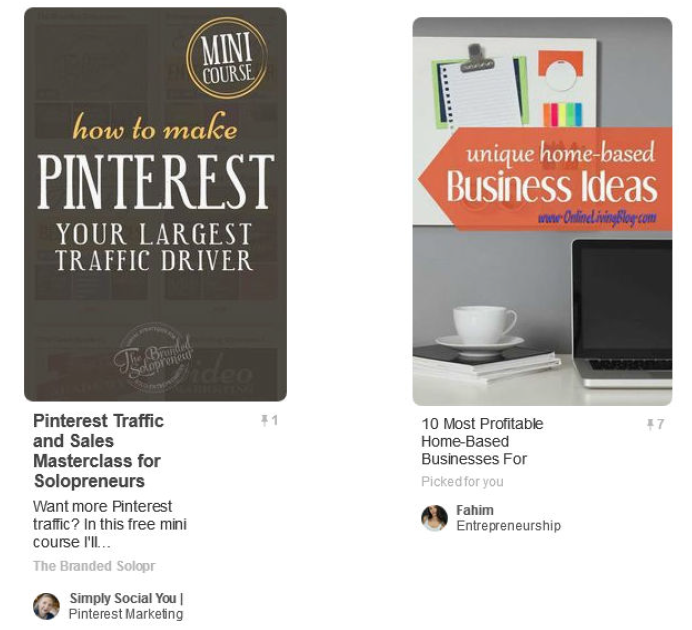 With these profile tips in place, you’ll be using Pinterest for business in no time! Keep in mind that Pinterest growth is exponential, and it can take several months to see awesome results. I’ll be sharing some case studies soon to give you some realistic expectations of your website traffic growth. 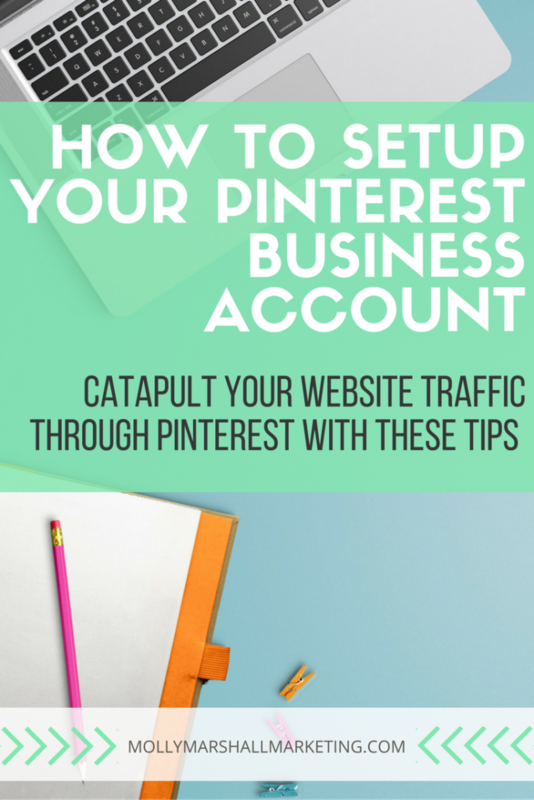 Will you start using Pinterest for business? Yes, yes, yes! I love this post! Pinterest has provided SO much traffic for my blog! It keeps the momentum going on older blog content, for sure. If there are any bloggers out there that haven’t utilized this platform yet, they need to get on it ASAP! Thanks for sharing such a grate, very informative and useful article to Pinterest marketing tips.